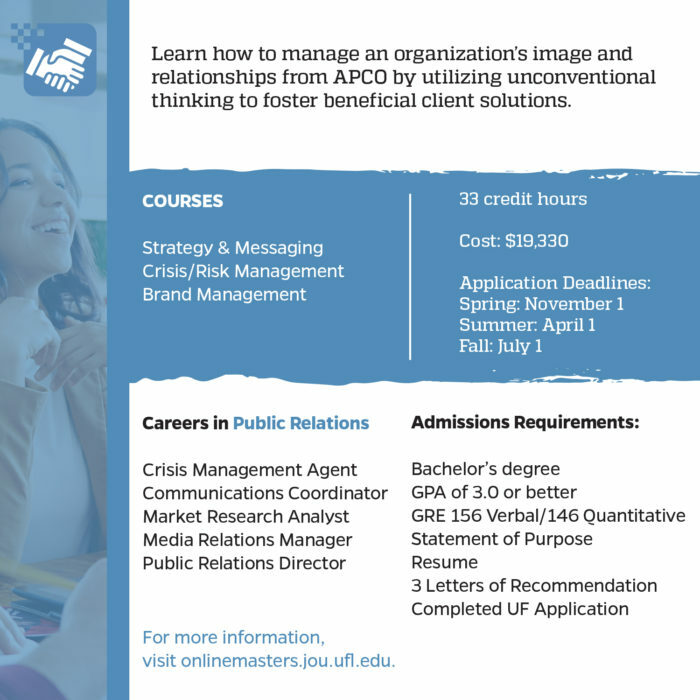 Why is a master’s degree in PR important? It’s a great time to be in PR. Indeed.com lists over 40,000 jobs for mid-senior level public relations specialists. Not only do companies want experienced employees, they also want educated individuals who can prove their commitment to career growth. With a master’s degree, you can expect to earn from $60,000 to $110,000+. With so many self-proclaimed experts, ninjas, and gurus, I wanted a way to gain an edge over other professionals in the field. The master’s program allowed me to switch industries and advance in a field that I love.